It’s just another (among many) things First Lady Melania Trump does better than her predecessors, including Michelle Obama and Hillary Clinton – support the troops. Her recent visit to Iraq marks the first time a First Lady has visited a combat zone since 1969. It was a special moment made more so by a very special, charming, and dignified woman whose love for America’s troops shines through. US First Lady Melania Trump may be disliked by the US mainstream media and fashion magazines who continue to refuse to put her on a cover, the troops both in Iraq and Germany loved her for joining President Trump on the First Couple’s Christmas visit to the troops. 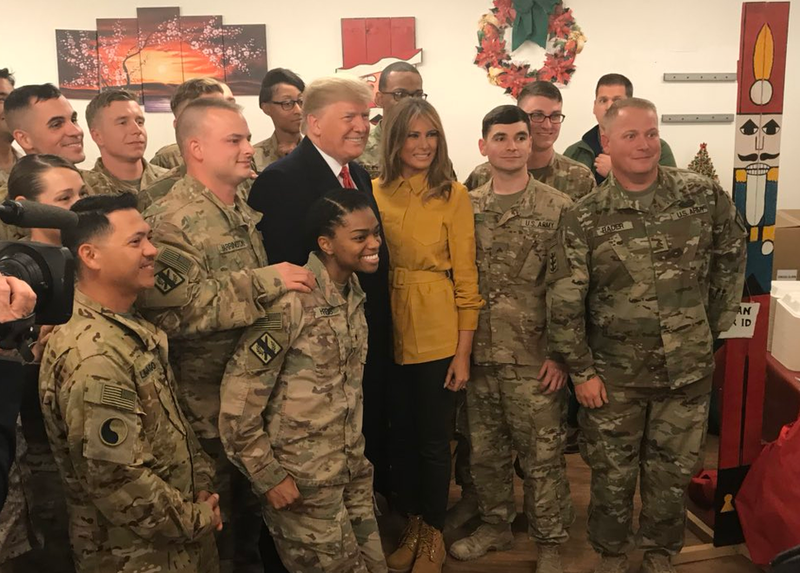 She was highly demanded to join in pictures with the soldiers and thus becomes the first FLOTUS to visit a combat zone since 1969. So goes the Establishment Media’s battle cry since Donald Trump became this nation’s president. It’s all nonsense of course. A bunch of hype stacked atop lies, stacked atop more hype. Cast in point—The Washington Post. Check out the contradiction below. If you need any more reason to tune this hyper-partisan hacks out this should do it. Don’t let them get away with thinking you are all short memory idiots. Call them out. Call out those who blindly follow their lead. Then get ready for one heck of a fight come 2020. “We’ll be there.” Cue an instant flurry of newsroom activity. I sounded the alarm to Johnson, who ditched his jeans to wedge himself into a spare suit I keep in the office. Another colleague coughed up some dress shoes in Benny’s size. Meanwhile, the five o’clock shadow on my face suddenly felt like a full beard. We tore out of the office. Headed for the White House, my mind teemed and calculated what the news of the day was and what I could realistically ask Trump about. Benny and I quickly thought up a few must-ask questions and decided the order of who would ask what. I noted to Benny that given my experience interviewing Trump two months earlier, it was best to ask shorter, big-picture questions. The most interesting things the president says are often embedded within monologues, though some probing is necessary to narrow specific bits of news. …Armed only with my notes and recording app, we ventured into the famous office and placed our phones on the Resolute Desk. Trump was only slated to speak with us for 15 minutes, but we pushed 30. Several senior White House officials were in the room with us as the interview progressed, and the president rattled off on subjects ranging from the professional fates of DHS Secretary Kirstjen Nielsen and CNN reporter Jim Acosta, to the Florida recounts, Amazon and Antifa violence. The president is a singular force in these interviews veering off into any subject he wants, drawing connections you would never think, and talking over you if he feels that he hasn’t been able to fully make his point. This time, he was in a lighthearted mood, joking around with Benny and me, answering parts of questions he felt like expounding on. Throughout the interview, the buzz of the U.S. government’s center-most element could be felt around us. The door to the Oval Office remained open and aides stalked the outer office waiting for us to depart. Trump’s aide came to inform him after only 20 minutes that he had his intelligence briefing to attend. The president nodded, seemed unbothered and continued to speak. I hardly registered at the time as I was so focused on getting as many questions in as possible. Trump answered one last question on his takeaways from the 2018 election, and we were hurriedly ushered out of the Oval Office by his senior staff. The hallway by the Oval Office that guests wait in to be received was packed full of harried national security officials waiting to deliver a briefing, including CIA Director Gina Haspel herself. I thanked the president’s senior aides for the opportunity and racked my brain for all of the newsworthy headlines we had accumulated. It’s only after you’ve left the Oval Office do you really appreciate the historic place where you were just standing, the significance of the things you have just heard and the exhilarating task you have just completed. “What were you guys doing in there?” a fellow correspondent asked as we left the White House. I gave a mischievous smile and said “oh you know, just the usual” and hurried away to write to my stories. Instead of backing off his criticism of the Establishment Media following a week of violent tragedy, President Donald Trump doubled down by again imploring news agencies to stop its attack on American values in general, and the Trump administration specifically. The latest round of back and forth followed a 24-hour news cycle that had media programs repeatedly linking the horrific Pittsburg synagogue shooting to the president even though Trump is widely regarded as one of the most Jewish-friendly presidents in U.S. history. His daughter, son in law, and several grandchildren are Jewish, while the White House staff is strongly represented by people of Jewish heritage as well. The media’s attacks on the president are seen by Trump supporters as adding more pain to an already difficult situation via taking a tragedy and attempting to politicize it with yet more lies being told against the president. “There is great anger in our Country caused in part by inaccurate, and even fraudulent, reporting of the news. The Fake News Media, the true Enemy of the People, must stop the open & obvious hostility & report the news accurately & fairly,” he wrote on his Twitter account. The alleged source of multiple (non-functioning) pipe bombs was arrested in Florida this morning. 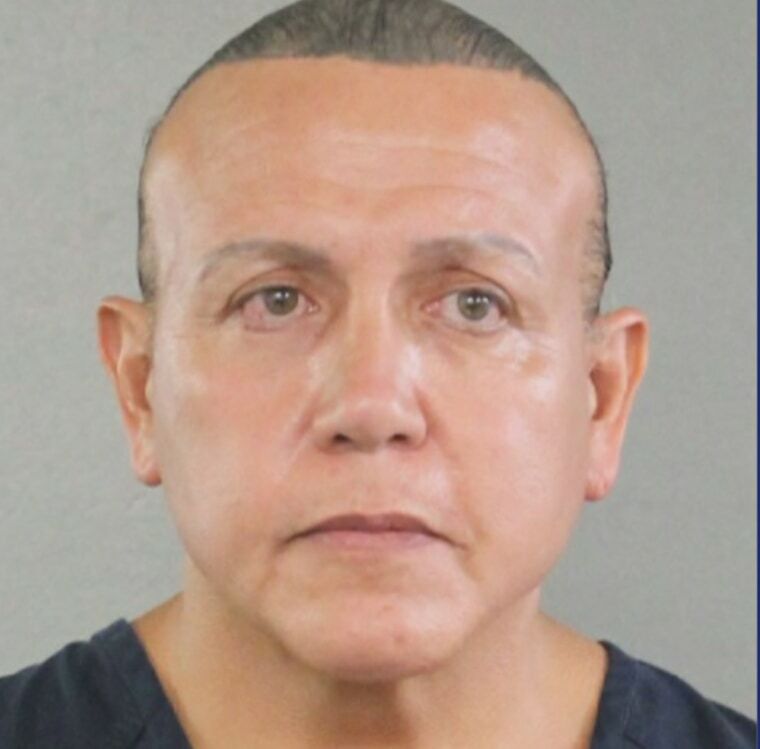 His name is Cesar Sayoc Jr., 56, someone whose own online information indicates Philippine-American heritage (while other reports claim Native American heritage) and far more importantly, a tenuous grasp on reality. It appears most likely Mr. Sayoc is mentally unstable. None of that will matter. The Establishment Media is ramping up its campaign to blame President Trump for any and all acts of political malfeasance—the truth and reality be damned. The acts of horror were cowardly, anonymous and very scary. So who is the despicable maniac or group who tried to wreak havoc, fear and terror far and wide — sending pipe bombs and white powder via the mail to leading Democrats and their supporters, from the Clintons and Obamas to George Soros and to the New York City offices of CNN? Whose demented hatred outflanks human decency? You may not be surprised to learn that the chief bogeyman identified by many on the left as the culprit wears a Make America Great Again cap. Campaigning in Florida ahead of the midterm elections, Hillary Clinton wasted no time politicizing the attacks in which, thankfully, there were no explosions and no one was hurt. Even as President Trump condemned the acts of chaos and violence in no uncertain terms, Paul Waldman in The Washington Post laid blame squarely at the prez’s feet. “The unrelenting hatred churned up by Donald Trump for the two years following 2016 is dangerous. A Washington Post columnist [Jamal Khashoggi] is dead and progressive icons are targets of bombs,’’ he wrote, connecting a violent act with the wave of terror without offering a shred of proof. “If law enforcement wants to warn for future bomb targets, all they need to do is check Trump’s Twitter feed and play back tapes of his campaign rallies,’’ tweeted activist and writer Amy Siskind. This is unfair, brutal and so very ugly. Few media outlets blamed the left for last year’s shootings of Republican members of Congress practicing for a charity baseball game in Alexandria, Va., but in this case, the same humanity does not apply. Instead of looking for the political angle, we should be united around one thing: our revulsion against these awful acts. 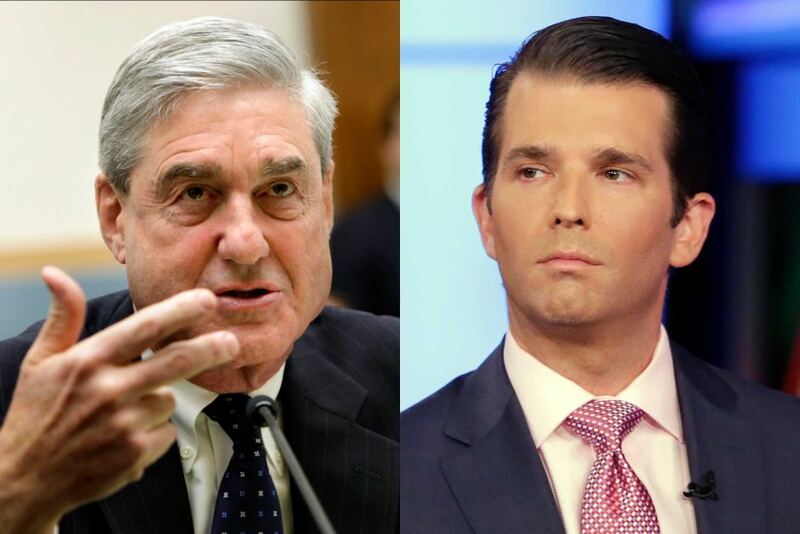 The Establishment Media is concerned Paul Manafort will be found not guilty and is moving quickly to initiate some intimidation tactics to prevent that from happening. First and foremost is a call to release the names and addresses of the jurors. The intent is clear – hand down a not guilty verdict and we (the media) will make your lives hell. 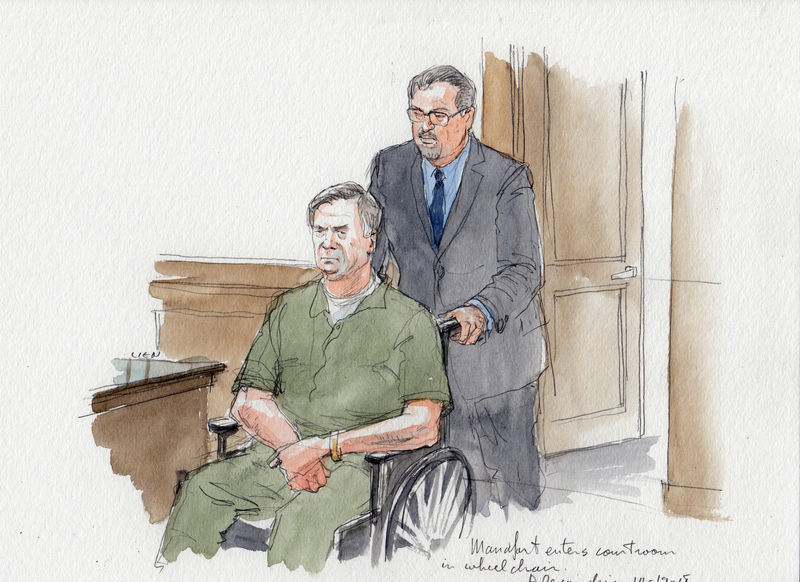 UPDATE: The Judge in the Manafort trial will NOT release the names of the jurors, citing safety concerns as the judge and jury have apparently received a number of death threats from individuals angry they may not find Mr. Manafort guilty. Basically, the judge is telling CNN to pound sand. What a contrast between a proud and highly-educated woman and the Establishment Media creatures clamoring just behind her. Those reporters appear sub-human while the First Lady sits inches away and yet far removed from them. It’s a photo the Establishment has been attempting to bury but Trump supporters are now pushing to go viral. Help the cause. Share it far and wide.